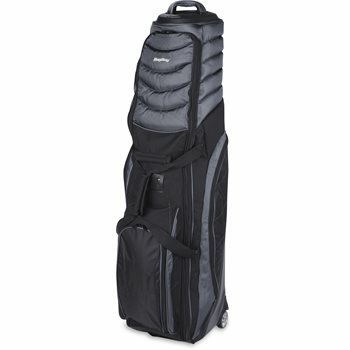 The Bag Boy T-2000 Travel Bag features an extra thick, quilted padded top with full body padding for maximum club protection. The Pivot Twist handle and in-line skate wheels allow for an effortless rolling motion and easy club transit. The T-2000 can accommodate drivers up to 48" and up to a 10” cart bag.